Facebook for Writers: New Features a Waste of Time? Think your Facebook author page is worthless? You're not alone: some businesses large and small have abandoned their pages during the last year. Perhaps to slow the exodus, Facebook is rolling out new features that may be of use to writers and authors. Note: I have not tried out these features -- they sounded interesting but could be a waste of time. An example of a Call to Action Button that Facebook will roll out to Page owners in the next few weeks. 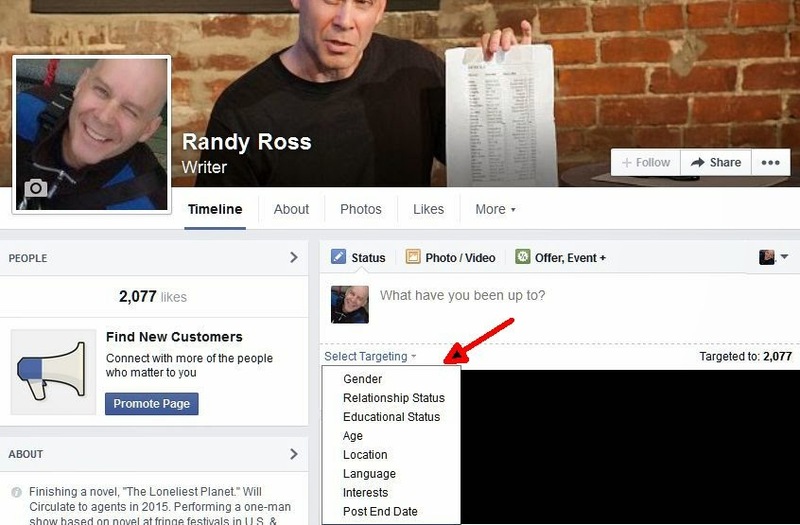 Facebook now offers a feature that lets you target posts to people by location, interests, gender, and other criteria. This could be particularly useful if you'll be reading in a particular location or if you have some racy content that isn't appropriate for some fans. More than you want to know about Facebook's targeting capabilities plus some other upcoming features that made no sense to me. 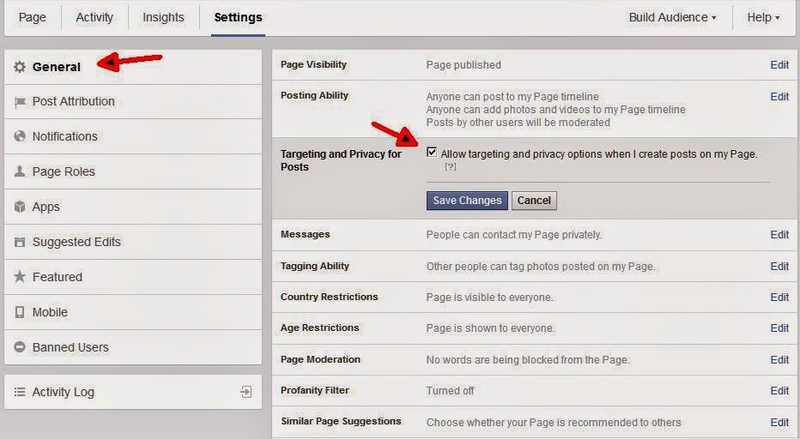 To target fans by interest, location, or gender, first enable your Page's Targeting and Privacy settings. Then, create an update and target the post to fans using different criteria. Remember the chat rooms and forums of yore which you could join and post anonymously or with some weird nickname? 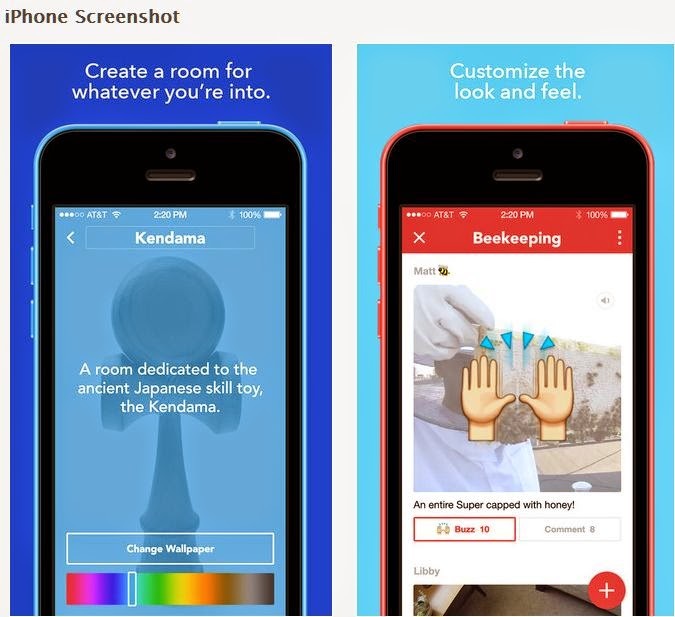 Facebook is rolling out a similar capability via an app for iPhone and iPad users that allows you to post text, photos, and video. Rooms is in its early stages, so you might be able to create a room on a topic related to your book -- before anyone else does. More than you want to know about Rooms. Currently, Room topics are being vetted and you have to apply. 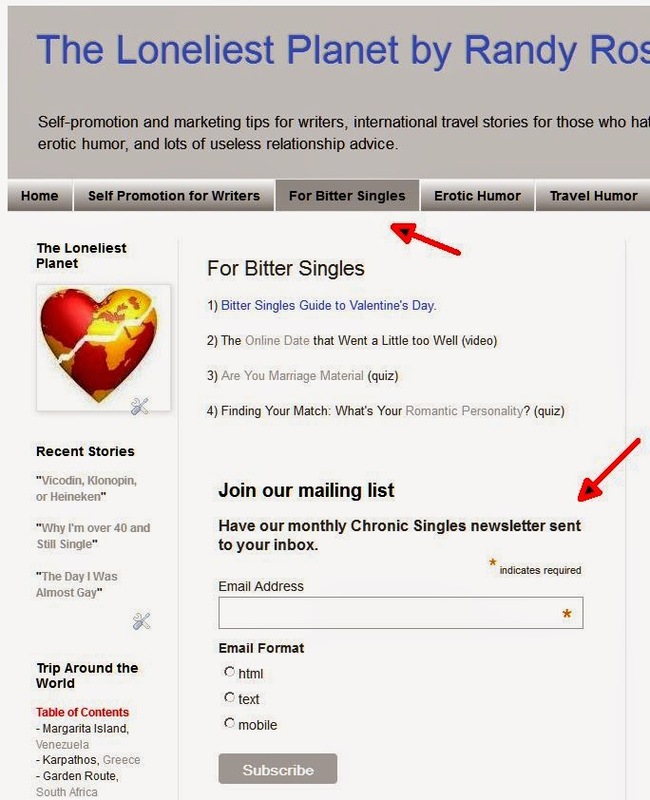 Email Marketing for Writers: Build Your List! Time to ditch social media for email marketing? Here are five tips for collecting more emails, which will help you sell more books, boost your writer's platform, and waste less time online. Building your email list is a better use of your time than acquiring followers, friends, fans, or connections on social media. Here's why. Send an email and almost all your subscribers will receive it and on average 25 percent will open it. Post to your Facebook author page and you're lucky if 10 percent see the post -- never mind click on it. The response rates on Facebook pages has gotten so poor one major blogger recently killed their page. I have 2,000 Facebook fans: Only about 1% of them Like or Share a typical post. I have 380 email subscribers: My emails reach almost all of them and 30% open my missives. Adding more email subscribers is a better use of my time than adding Facebook fans. 1) Start with a free, relatively easy-to-use email management tool. I've been using Mailchimp so we'll use that in the examples below. 2) Review, sort, and upload existing contacts to Mailchimp. Over the years, you've been collecting emails of friends, coworkers, former coworkers, and other people. Email management programs typically let you export your contacts into a format that can be manipulated in a spreadsheet or other program. In Yahoo mail, go to your contacts page, click on Actions at the top of the page, and choose Export. In your spreadsheet, weed out all the jerks who wouldn't want to hear about your new book or an update on your writing career. 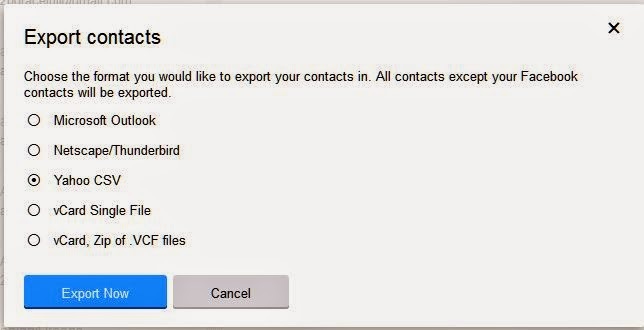 The Yahoo export page on the Contacts page. 4) Collect emails on your blog and Web site. On your blog, be sure there's a sign-up box embedded in each post. (See what I've done at the end of this post using Feedburner, a tool designed specifically for blogs.). 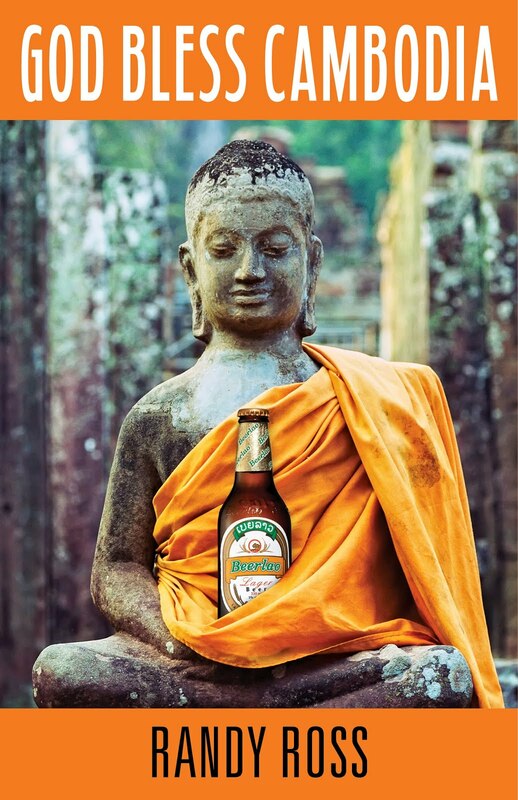 Want to parse your audience into more targeted lists? Mailchimp allows you to create a variety of email lists each with their own sign-up box. This is useful if your blog or Web site, like mine, covers a range of topics. Two sign-up boxes on my Web site. A third sign-up box on my blog. 5) Convert social media connections to email subscribers. With Facebook, consider paying to promote a post that notifies your fans that they may not be seeing your updates due to recent changes to Facebook. Include a link to a signup box. You may even offer a freebie -- a chapter, a short story -- to people who sign up. 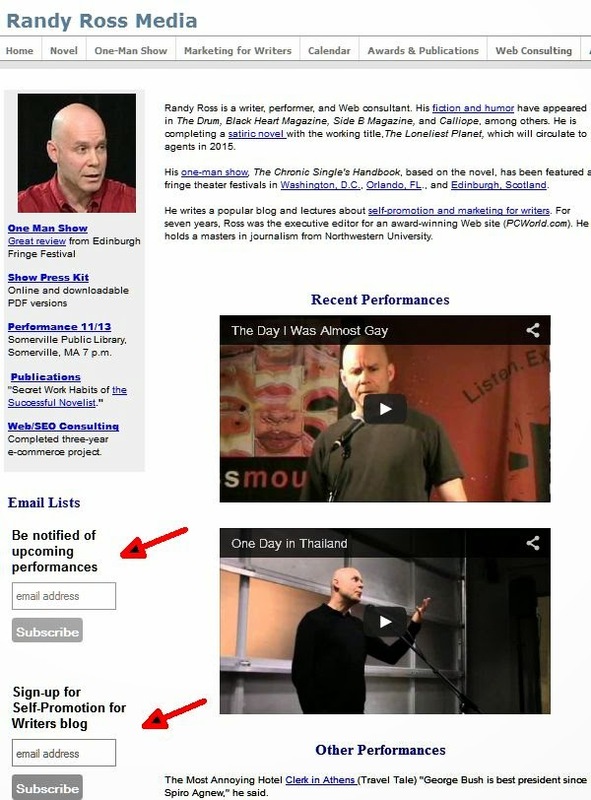 For more on email sign-up incentives, read how author James Seeley boosted his subscriber list.